"This is clearly a time of year Matt Wallace enjoys, and he won three-in-a-row on the Alps Tour in the Spring of 2016." 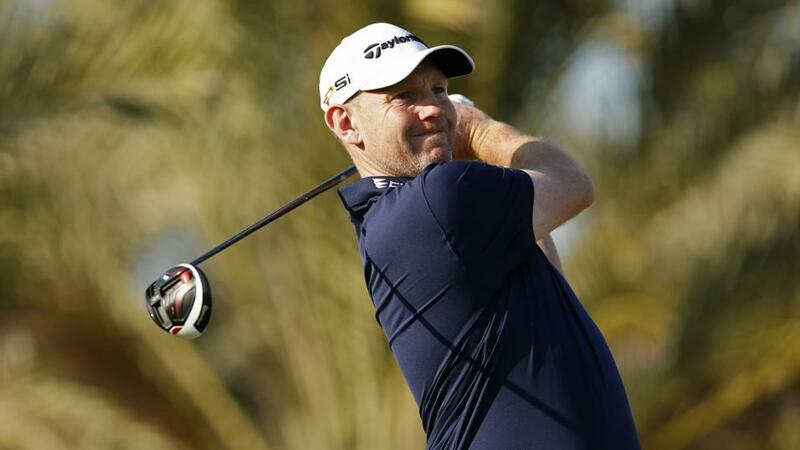 Stephen Gallacher was tied eighth the only time he ever teed it up at Centro Nacional de Golf. That was way back in 2007 and one of a number of top 10s he's had in the country. Of far greater relevance are the pair of top 10s he's had on his last two starts - T9 at the Oman Open and T7 in the Indian Open. On the stats, he looks pretty solid in all aspects after finishing top of the All-Around in Oman, 10th in India and 13th in that category in Qatar. He finished T39 at Doha but that was after sitting second after 36 holes so Gallacher is dropping lots of hints about a big performance being on the horizon. With temperatures in Madrid this week low and plenty of rain forecast, the Scot may be less inconvenienced than most and, putting everything together, the joint-industry best price of 50/1 certainly has appeal. This year's Open D'Espana venue is an exposed, undulating course, reportedly playing particularly firm and fast. The best ball-strikers should thrive and that presents an opportunity to back a highly progressive youngster, whom I'm determined to follow frequently until he wins. Among these, Matthieu Pavon ranks third for ball-striking over the past three months, sixth over the past year. His best effort to date was third place at a firm, fast, exposed, undulating Scottish Open venue. He's had a couple of months to recover from imploding when holding the halfway lead in Oman, and will hopefully have learnt much for the next time a chance to win arrives, as it inevitably will. Matt Wallace's career is progressing at a rapid rate of knots and he's one to keep on the right side of. He won six Alps Tour events in 2016 to win the Order of Merit and to get himself on to the Challenge Tour, before winning the co-sanctioned Portugal Masters in May 2107, which earned him a spot on the European Tour. And last time out he cemented his place with a gutsy win at the Indian Open. He was sixth in Denmark last August at a course that may well correlate nicely with this one and I have no qualms about whether he's capable of doubling up. This is clearly a time of year he enjoys, and he won three-in-a-row on the Alps Tour in the Spring of 2016. It's been a long time since we've seen a run-of-the-mill European Tour event and we last saw this course in 2009 so the clues are thin on the ground. My man was in his teens when the European Tour last passed by so I have no idea if this week's test will suit but with stats showing decent distance and accuracy off the tee and laser-guided approaches from the fairways, I'm confident Adrian Otageui has the game to contend this week. The 25-year-old Spaniard is a player on the up, winning his first Tour event last year and brings good 2018 form with a 10th in Qatar last time out and cuts made in all five tournaments. Steve's preview suggests an early-late tee time is advantageous and my selection ticks that box, too, and all in all, the joint industry best 66/1 is enough to tempt me in. We're a bit in the dark in terms of course form this week given the last time a tournament was played at Centro Nacional de Golf was in 2009, so I'm taking a leaf out of Paul's book and backing a youngster who will surely make his breakthrough on the European Tour sooner rather than later. Alexander Bjork is a huge talent, and I'm very surprised that we can back him this week at 66/1 in another relatively low key affair, barring a few exceptions of course. Greens in Regulation was a very important stat in tournaments played at this venue previously, so it's encouraging to see Bjork ranking very highly on the European Tour's stat for Strokes Gained Approach, which measures the quality of all approach shots, not just those that land on the green. Bjork put in some high class performances last year on some tough courses, and already this term he's finished T6 at the high class Dubai Desert Classic, T12 in Oman, and he also finished inside the top 20 at the Qatar Masters. That's strong enough form to expect a bold showing in Madrid.